Easy One Tounch: Only need to touch the trigger button,the car mount can hold your phone tightly. 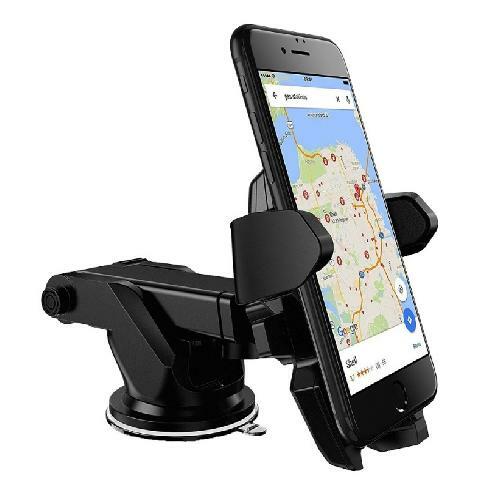 Universal for Device: The car phone holder can hold between for 3 inch and 6.5 inch device. Humanized Design: 360° degree rotation and adjustable bar, you can adjust any way you like. Material: Adopt friendly ABS plastic and environmental silicone. Easy to Install: Strong suction pad can fix on the windshield or dashboard tightly and won't fall down.